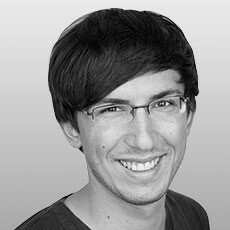 Manuel Stein is a senior PhD student in the Data Analysis and Visualization Group at the University of Konstanz, where he leads the internal research groups for team sport analytics and high dimensional data analysis. His research concentrates on the analysis of player movement with the goal of understanding cooperative and competitive behavior in team sports by the help of visual data analysis. His research is built on a multi-facet view focusing on the detection of semantically meaningful patterns which offers the user interactive visual explanations. In the Computer Graphics & Applications journal in 2016, his paper proposed an exemplary dynamic modelling of interaction spaces to visually indicate the area each soccer player aims to control. At the IEEE VIS 2017 conference, he presented a novel system which automatically displays complex and advanced 2.5D visualizations superimposed on the original video recordings.